This seminar series is a MUST HAVE for professionals in any practice setting that deals with the musculoskeletal system. 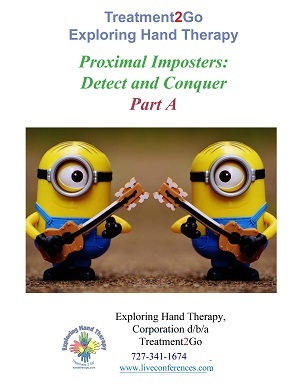 After reading and watching this brilliant series you will be confident in your skills in assessing proximal imposters of the cervical and thoracic spines as well as the shoulder. You must have the knowledge to screen individuals to determine if the pain they present with is driven by the musculoskeletal system or elsewhere. Delaying proper treatment due to poor diagnosis is detrimental to a patient's well-being. The sooner a patient with a non-musculoskeletal issue is referred to the correct practitioner, the sooner the patient will receive the best and most appropriate treatment. Join Debra Dent, BPT, Dip Manip PT, OCS, FCAMPT, as she brings her 40 years of experience together in this dynamic seminar to explore serious pathologies and diseases of the trunk and spine. Demonstration of appropriate physical tests and scans for the cervical and thoracic spines will be clearly presented so you will have an ability to safely repeat these tests in your clinic. Screening and physical testing will be reviewed in respect to the latest evidence on the reliability and validity of these tests. Each part of this series can be viewed individually but it the entire series is recommended for complete training in proximal differential diagnosis. This course is a mixed learning level. Must pass (80%) online exam to redeem your AOTA APP certificate. This is a class you will not find anywhere else!